The latest edition of the SNAICC Newsletter is now available! SNAICC has published its 2015-16 Annual Report, showcasing the services, resources, and advocacy support outlaid by the organisation from July 2015 to June 2016. For Our Children, Community Voices: Sharing Knowledge and Practice – Report of the 6th SNAICC National Conference is the report of the SNAICC National Conference held at the Perth Convention Centre, Perth, WA from 15-17 September 2015. One of the key outcomes of the Council of Australian Governments (COAG) meeting in Sydney last week is a new Closing the Gap target for access to early childhood education. This week marked the launch of the Third Action Plan under the National Framework for Protecting Australia’s Children 2009-2020 to both tackle Australia’s appalling rates of child abuse and neglect and address failures in the system which is designed to support families. Human Rights Day, observed every year on 10 December, commemorates the anniversary of the adoption of the Universal Declaration of Human Rights by the United Nations General Assembly. Yesterday’s introduction to parliament of proposed early childhood education and care reform legislation by The Hon. Simon Birmingham, Minister for Education and Training, has deeply concerned SNAICC, the national peak body for Aboriginal and Torres Strait Islander child and family services. SNAICC has published its 2014-15 Annual Report, showcasing the services, resources, and advocacy support outlaid by the organisation from July 2014 to June 2015. Aboriginal and Torres Strait Islander Social Justice Commissioner Mick Gooda has published the Social Justice and Native Title Report 2015, with several of the 21 recommendations aimed at addressing “one of the most pressing human rights challenges facing Australia today” – reducing the over-representation of our children in out-of-home care. SNAICC has raised concerns about the proposed changes the Inquiry into the Social Services Legislation Amendment (Family Payments Structural Reform and Participation Measures) Bill 2015 will cause. This Evaluation Report provides an overview Aboriginal and Torres Strait Islander Children’s Day in 2015. Included are details on the 200+ registered events held around the country, a review of the national launch event in Perth, in-depth analysis of media coverage in the lead up to Children’s Day, and a breakdown of the social media footprint left on 4 August. Over one thousand people from around Australia gathered in Perth for the 6th SNAICC National Conference. We heard over one hundred presentations that provided strong evidence that Aboriginal and Torres Strait Islander models of services and care are working across the diverse range of situations and places where our people live. Following three days of sharing, learning and planning a final list of resolutions have been agreed to provide better systems and opportunities for Aboriginal and Torres Strait Islander children and families. Tomorrow, 15th September, sees the opening of the 6th SNAICC National conference in Perth on the land of the Whadjuk Noongar people. The report of the Senate Inquiry into out of home care released yesterday by the senate Community Affairs References Committee has identified the need for urgent and comprehensive reforms to address a system that is failing Aboriginal and Torres Strait Islander children. A commitment by the Minister for Social Services, the Hon. Scott Morrison MP, confirmed in a statement today, to improve access to early years services for Aboriginal and Torres Strait Islander children has been welcomed by SNAICC, the national peak body for Aboriginal and Torres Strait Islander children and families. National Aboriginal and Torres Strait Islander Children’s Day, held on 4 August annually, celebrates and recognises the importance of Aboriginal and Torres Strait Islander children. This year’s theme is Little People, Big Futures – we want all our kids to stand tall, so that they can feel connected and proud of their cultures. The announcement that the Queensland State Government is allocating $38.8 million over four years to secure the ongoing operations of 10 Aboriginal and Torres Strait Islander Children and Family Centres has been welcomed by the Secretariat of National Aboriginal and Torres Strait Islander Child Care (SNAICC). Aboriginal and Torres Strait Islander Child and Family Centres are kicking goals, providing diverse responsive services to their community. This new fact sheet explains the importance of a sustainable, resourced Community Early Learning Program to provide for Aboriginal and Torres Strait Islander integrated early years services, and outlines why investment in this area is so critical. A new resource will be launched this week on strategies and tools nationwide and state-­-by-­-state to reduce Indigenous child removals across the country. SNAICC Chairperson, Sharron Williams, says the childcare package released in the federal budget punishes those children who need support most. Prof. Clare Tilbury has worked with SNAICC to research and develop a report detailing strong practice approaches of Aboriginal and Torres Strait Islander community-controlled agencies providing intensive and targeted support for Aboriginal and Torres Strait Islander families at risk of, or subject to, child protection intervention. SNAICC has released a report identifying priority reforms that could assist to address some of the most important issues impacting the safety and wellbeing of our children. The Australian Government has a great opportunity under its new Families Package to improve education, employment and health outcomes for Aboriginal and Torres Strait Islander children and families — by providing sustainable, long-term funding to Indigenous early years services. Australia has lost a tireless champion of Aboriginal and Torres Strait Islander rights with the passing of Dr Alf Bamblett. SNAICC applauds the Productivity Commission’s final Report into Childcare and Early Childhood Learning for identifying the need for a long-term community-focused program to support the provision of diverse, culturally-appropriate services for children that are at a higher risk of being developmentally vulnerable. Aboriginal and Torres Strait Islander Child and Family Centres are kicking goals, providing diverse responsive services to their community. This new fact sheet provides an update on the situation of funding for Aboriginal early years services. Unless there is a new approach to the delivery of programs and services for Indigenous Australians — that retargets government funding to early years education and health and improves Indigenous participation — the Prime Minister’s Closing the Gap statement will continue to be an annual ritual in disappointment and frustration. Nationally, Aboriginal and Torres Strait Islander children (aged 0-17) make up just 4.6 per cent of the child population yet comprise almost 35 per cent of all children in out-of-home care. The disproportionate number of Aboriginal and Torres Strait Islander children being removed from their families is reaching crisis levels and continues to spiral upwards. SNAICC welcomes Prime Minister Abbott’s decision to drop the Paid Parental Leave scheme and focus on improved child care support for Australian families. Since the National Apology, the number of Indigenous children in care has increased by 65 per cent. When will governments start listening? SNAICC has lodged a submission on the Consultation Regulation Impact Statement (CRIS) for proposed changes to the National Quality Framework (NQF). The NQF was established in 2012 to raise quality and drive continuous improvement and consistency in Australian education and care services. SNAICC has provided a submission to the Senate Inquiry into Out of Home Care, which details five key priorities it believes should underpin new ways of working with Aboriginal and Torres Strait Islander children and families. SNAICC has told a Senate inquiry into domestic violence in Australia that intergenerational trauma as a result of the continuing impacts of colonisation is contributing strongly to the incidence of family violence in Aboriginal and Torres Strait Islander communities. As the world celebrates Human Rights Day today, SNAICC calls on the Australian Government to lead the way by re-visiting a federal Human Rights Act to protect the rights of all Australian citizens. In partnership with 1800RESPECT — the national sexual assault, domestic and family violence counselling service — SNAICC has launched two major resources on to support Aboriginal and Torres Strait Islander communities and frontline family violence workers. SNAICC has released a final report on the South Australian consultations under its national initiative Family Matters, Kids safe in culture, not in care. SNAICC has released a number of recommendations from the final report, which were developed through discussions at the forum and community meeting. SNAICC has released a final report on the South Australian consultations under its national initiative Family Matters, Kids safe in culture, not in care. SNAICC has released a final report examining the content of the discussions at the forum and community meeting. SNAICC has released a final report on the South Australian consultations under its national initiative Family Matters, Kids safe in culture, not in care. As a part of the initiative SNAICC has developed an issues paper which provides background information to the problem in South Australia. SNAICC congratulates Daniel Andrews and the ALP on its victory in the Victorian state election and urges the new government to make the pressing issues facing Aboriginal children, young people and families a priority in the next four years and reset the relationship with Victoria’s Aboriginal community. A coalition of national Aboriginal, human rights and campaign organisations have called on governments to implement the recommendations in the 2014 Social Justice Report. SNAICC has launched a new resource to support best practice across the nation to reduce the incidence and impacts of family violence on Aboriginal and Torres Strait Islander children. SNAICC has published its 2013–14 Annual Report, covering our activities and finances from 1 July 2013 to 30 June 2014. SNAICC Deputy Chairperson Geraldine Atkinson has told a Canberra forum celebrating the 25th anniversary of the Convention on the Rights of the Child that Australia had a legal and moral responsibility to protect the rights of its most vulnerable children, including Aboriginal and Torres Strait Islander children. SNAICC welcomes the opportunity to participate in the Productivity Commission Inquiry into Child Care and Early Childhood Learning (Inquiry). SNAICC asks the Productivity Commission to consider the discussion, evidence and recommendations outlined within this submission. National Aboriginal and Torres Strait Islander community leaders are calling upon Prime Minister Tony Abbott to personally step in to address the federal Indigenous Affairs policy and funding environment, which they say is descending into chaos. A forum in Adelaide on 27 August attended by 170 Aboriginal and Torres Strait Islander community members, practitioners, service providers and researchers in the child welfare sector has identified a number of initiatives to improve South Australia’s child protection system and stem the flow of Indigenous children being removed from their families. SNAICC, the peak national body for Aboriginal and Torres Strait Islander children and families, welcomes the Australian Government’s decision to not proceed with changes to the federal Racial Discrimination Act. The Australian Government has a great opportunity to reconsider measures in the May Budget, which if implemented, will place even more pressure on some of the most disadvantaged citizens in Australia — Aboriginal and Torres Strait Islander children and their families — and reduce their access to some crucial services. A forum in Adelaide on 27 August will bring together Aboriginal community representatives and key players in South Australia’s child welfare sector to look at local solutions to address the soaring number of Aboriginal and Torres Strait Islander children in out-of-home care in the state. SNAICC believes the Productivity Commission’s draft report into child care and early childhood learning has some promising ideas, but fails to deliver a blueprint to improve access and participation of Aboriginal and Torres Strait Islander children and families in vital early childhood services. SNAICC has called on state and territory governments to make child protection systems less daunting, more collaborative and more culturally responsive to the needs of vulnerable Aboriginal and Torres Strait Islander children and families as part of a new approach to improve child protection outcomes. This training manual has been designed for supporting and sustaining genuine inter-agency partnerships in service delivery for Aboriginal and Torres Strait Islander children and families. The Secretariat of National Aboriginal and Islander Child Care (SNAICC) has published a submission to the Australian Human Rights Commission National Children’s Commissioner’s examination of intentional self-harm and suicidal behaviour in children. The submission examines the devastating rates of self-harm and suicide for Aboriginal and Torres Strait Islander children and young people. This Guide includes a set of evidence-based good practice principles (the Principles). The Principles build on and are consistent with the values and principles in the National Plan and its supporting strategies. This Guide also includes key indicators to support implementation and monitoring of the Principles in the form of a “Process Framework”.er children and families. A forum in Perth this Friday (13 June) will bring together key players in Western Australia’s child welfare sector and Noongar community representatives to look at local solutions to address the soaring number of Aboriginal and Torres Strait Islander children in out-of-home care. Cuts announced in the Federal Budget on Tuesday will place even more pressure on some of the most disadvantaged citizens in Australia — Aboriginal and Torres Strait Islander children and their families — and reduce their access to some crucial services.  Today marks the start of National Families Week, the annual event held by Families Australia to recognise the fundamental importance of families. This year’s theme is Stronger Families: Stronger Communities. SNAICC calls on the Australian Government to completely reject the Commission of Audit’s recommendation to implement a voucher-based program to assist Aboriginal and Torres Strait Islander children with the costs of education. SNAICC stands alongside the many Indigenous and ethnic groups that have expressed considerable concern and alarm that the reforms would weaken protection against racist and other forms of vilification in Australia. SNAICC and 10 early years services gave over 1200 postcards to Minister Scullion on 13 February in Canberra to receive on behalf of the Prime Minister. SNAICC developed these powerpoint slides on this action and some of the key messages shared. SNAICC and 10 early years services gave over 1200 postcards to Minister Scullion on 13 February in Canberra to receive on behalf of the Prime Minister. SNAICC developed this flyer on this action and some of the key messages shared. SNAICC’s submission to the Productivity Commission inquiry into future option for childcare and early childhood learning, February 2014. SNAICC is calling on the inquiry to make recommendations addressing inequities that result in a huge gap in access to early childhood services for our children. SNAICC has developed this series of fact sheets to provide background information on Aboriginal and Torres Strait Islander early childhood needs, the current concerns around ongoing funding of services and what needs to happen. This paper investigates whether the current expectations of cultural competence in the early childhood education and care regulatory framework, and in particular the NQS, are appropriately articulated and whether they can be met by the current assessment and rating processes. This submission brings forward the knowledge and experience of Aboriginal and Torres Strait Islander peoples and organisations. It is made by peak bodies and lead agencies advocating for and supporting the best interests of Aboriginal and Torres Strait Islander children in out-­of­-home care across the country. This paper provides Early Years case studies on Wynbring Multifunctional Aboriginal Children’s Service (MACS), Yappera Multifunctional Aboriginal Children’s Service (MACS) and Yarrabah PCYC School Age Care. This paper presents program and funding ideas to support integrated services for Aboriginal and Torres Strait Islander children and families. Its immediate focus is the Budget Based Funded (BBF) services and Aboriginal Child and Family Centres (ACFCs). This document outlines SNAICC’s proposal for the Budget Based Funding program. It outlines why change is needed and provides information on the importance of investing in Early Years Pathways. This paper outlines the priorities for Aboriginal and Torres Strait Islander Children which aims for the best outcomes in community well-­-being and development. A passionate voice for change: A Brief History of SNAICC 1983 – 2013. 20 Page booklet. Family Matters: Northern Territory Issues Paper. The 5th SNAICC National Conference was held at the Cairns Convention Centre in early June and built on the success if of the last conference. The conference attracted attendances of over 1100 people from around the country, making it our largest SNAICC conference that we’ve held. SNAICC has developed a series of resources for children and adults. These resources make up a children’s rights education set aimed at Aboriginal and Torres Strait Islander children around the ages of approximately 3-7. A promising model for capacity building partnerships between Aboriginal and Torres Strait Islander services and non-Indigenous services – SNAICC resource published together with AbSec that profiles a groundbreaking new approach to developing the capacity of Aboriginal out-of-home care agencies through partnerships with mainstream organisations. This paper responds to this issue and the partial application of the Child Placement Principle. A review of the literature on the transition to formal school for Aboriginal and Torres Strait Islander children. This publication explores current knowledge of how schools, communities, families and early childhood services can support Aboriginal and Torres Strait Islander children to begin, and thrive at, primary school. The Healing Foundation, QATICCP, AbSec and SNAICC have published a discussion paper examining the continued overrepresentation of Aboriginal and Torres Strait Islander children Australia’s child protection system. SNAICC has produced a poster for National Aboriginal and Islander Children’s Day (NAICD) based on this years theme: Right Here, Right Now, Our Rights Matter. SNAICC submission to the Queensland Child Protection Inquiry calls for greater participation of Aboriginal and Torres Strait Islander peoples in service design and delivery. The SNAICC submission supports calls by the Queensland Aboriginal and Torres Strait Islander Child Protection Peak (QATSICPP) for the establishment of Aboriginal and Torres Strait Islander controlled child and family well-being ‘hubs’ state-wide. SNAICC submission in response to a call for a Parliamentary Select Committee on Child Care in South Australia (SA). Martin Hamilton-Smith, Member for Waite, SA, called for the establishment of the Committee to examine the availability and affordability of early childhood services in South Australia (SA). Description – Flip chart to assist in ‘unpacking’ Aboriginal and Torres Strait Islander children’s cultures and cultural needs. It portrays different aspects of cultural connections that enhance a young person’s sense of identity and wellbeing. Healing in Practice – Promising Practices in Healing Programs for Aboriginal and Torres Strait Islander Children and Families 2012. Report on a workshop convened by SNAICC, of key early childhood leaders to examine the future direction of the Budget Based Funding (BBF) program. SNAICC submission on the Family Support Program Future Directions Discussion Paper in which SNAICC asserts that different ways of working are required to strengthen Aboriginal and Torres Strait Islander child and family wellbeing outcomes. NATSILs and SNAICC have provided a joint submission on the Consultation Paper on the establishment of the Royal Commission into Institutional Responses to Child Sexual Abuse. SNAICC has developed this resource to support Aboriginal and Torres Strait Islander community organisations in applying for endorsement as a Deductible Gift Recipient (DGR) by the Australian Taxation Office (ATO). Learning from Good Practice: Implementing the Early Years Learning Framework for Aboriginal and Torres Strait Islander Children. Good Practice Profiles of the 14 services interviewed for the report: Learning from Good Practice: Implementing the Early Years Learning Framework for Aboriginal and Torres Strait Islander Children. The Profiles explore the unique strengths and qualities of each service and how they apply these to implement the EYLF. This submission sets out seven principles SNAICC believes are key to delivering culturally appropriate, sustainable and high quality early childhood programs for Aboriginal and Torres Strait Islander children. It then addresses the issues and challenges with both the current BBF program, and the alternative CCB program.